Floor Stripping and Waxing Cleveland - Mark's Cleaning Service - Mark's Cleaning Service Inc.
​Over 30 Years In Business! Do Your Clients See Beautiful Shiny Tile Floors? Mark’s Commercial Cleaning Service offers professional commercial floor maintenance to the greater Cleveland and Akron, Ohio area. Hard surface floors are undoubtedly the most durable, but also require professional maintenance to retain and prolong its luminosity and durability. We can protect your floors and keep them looking new with our unique commercial floor program customized to your specific building requirements. Busy high traffic areas are magnets for dirt and soils. From just regular foot traffic, dirt and soils cause damage to your floors by scratching the protective sealer and finish. Like your teeth VCT tile also has a protective enamel coating called “Wax” it protects the hard surface from damage. Luckily, unlike teeth this enamel can be stripped and re-waxed. Our deep, floor stripping and waxing service will revive your floors, leaving a glistening wet floor look. Floors are first cleared of all contents and mopped clean to remove dirt and grim. After the floors are dry we then strip and remove existing wax using a floor scrubbing machine. This process removes scratches and embedment from the floor. Once all preexisting wax is removed, we proceed to wax your VCT floors with commercial grade Diversey Vectra® floor finish. Our industrial grade wax will make your floors shine like new, with a deep glow extending the lifespan of the VCT floors. At Mark’s Cleaning Service, we strip, seal, and wax your floors, making it shine to look as good as new! Call 1-800-644-7727 For A FREE estimate! ​​We clean many types of floors such as vinyl composition tile (VCT) concrete, terrazzo, cement-bodied tile, quarry/ceramic tile, asphalt tile, luxury vinyl, linoleum, synthetic floors, rubber, conductive flooring, forbo flooring, and finally, brick floor stripping and waxing / refinishing. To your clients, dingy floors can be a depressing image. Marks commercial floor stripping and waxing service can resurrect your Vinyl Composite Tile (VCT) floors and keep them looking shiny and new. Eventually, heat, water, dirt and abrasives accumulate and lead to tarnished and outdated looking floors. In order to maintain its luster, VCT flooring demands professional care. 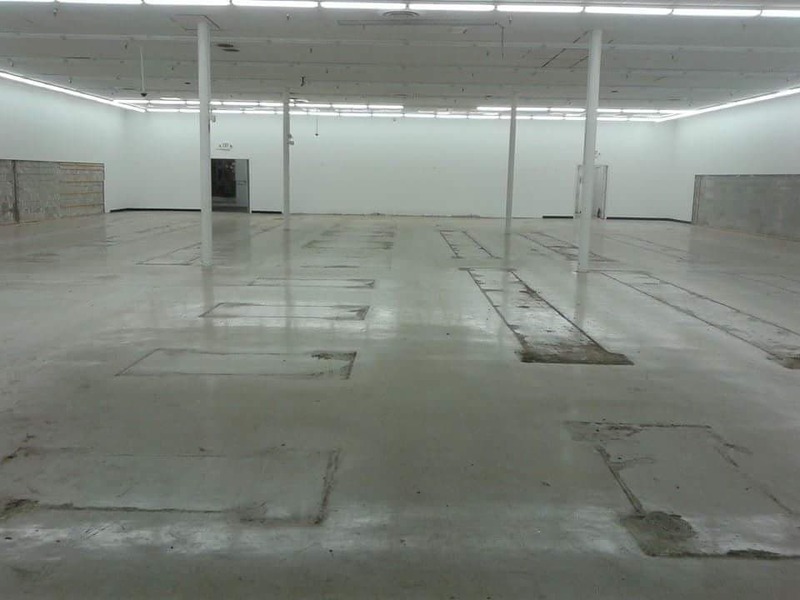 Our deep, industrial floor stripping and scrubbing is performed by knowledgeable and experienced professionals. Marks quality trained commercial floor techs will thoroughly strip, scrub, seal, wax, and buff your VCT flooring without cutting corners. Our skilled technicians use Diversey Vectra® floor finish which allows a faster cure time and better buff response. We then exceed industry standards by recoating the entire scrubbed floor with 3 to 4 layers of Vectra industrial grade wax. The result is a glossy, diamond-like brilliance with reduced marking, scuffing, and scratching. You will have an immediate wet-look floor that actually resists embedment. Having shiny clean, healthy floors will make your business more inviting. When your flooring receives everyday foot traffic, scratches and imperfections are inevitable causing your floors to look worn or tarnished. Stripping and waxing your floors regularly will prevent future scratches, drastically extending the floors lifetime. Maintaining your floor will always outweigh the cost of replacement. Mark’s Commercial Cleaning Service offers outstanding floor stripping and waxing and floor buffing to the greater Cleveland Akron Ohio area. Hard surface floors are undoubtedly the most durable but also require professional maintenance to retain and prolong its luminosity and durability. We can protect your floor and keep it looking new with our unique commercial floor program customized to your building specific requirements. 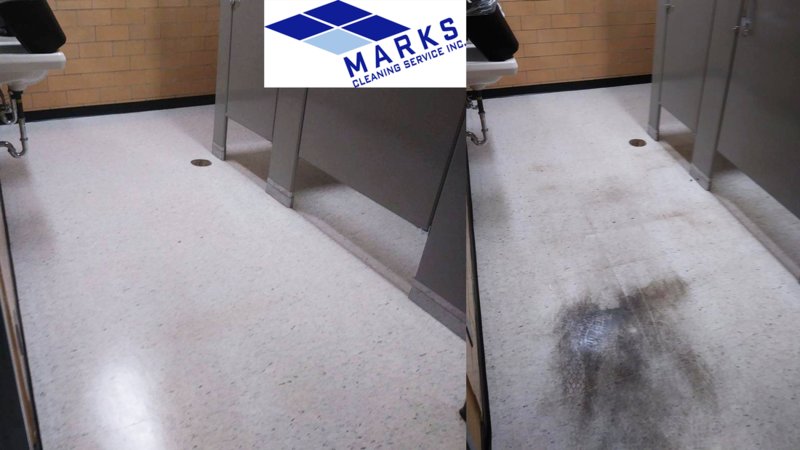 Free of charge, Mark’s can design an ongoing maintenance plan to keep your restrooms, break rooms, and high traffic areas at maximum shine all year long. As part of our ongoing floor buffing maintenance, our technicians utilize a 1500 to 2500 RPM floor burnisher that executes a high polish finish. Free Estimates are also welcome for smaller, individualized projects. In the long run, negligent carpet maintenance can be expensive. Dirty carpets may convey the wrong message to possible new clients. Neglected carpets may be unhealthy, as dirt, soil, pollens and allergens recirculate and nest into the fibers. It can also cost you in more tangible ways, with thousands of dollars in misdirected cleaning costs. With a combined 50 years of carpet cleaning experience, Marks IICRC certified technicians are well versed in all fabrics and weaves. Our licensed carpet techs will remove the grime and allergens that permeate older carpets. They use strong, yet safe cleaners that will attract and lift away stains and ground-in dirt. There will be no chemical odor or soapy residue left behind. Your office carpet will smell crisp and clean and stay clean much longer. ​Mark's Cleaning is a multiple year winner of the Gazette's "Best of the Best" competition! ​The Angie's List Super Service Award. Floor Stripping and Waxing in Cleveland OH, Akron, Canton, North Canton, Medina, Brunswick, Fairlawn, Stow, Hudson, Parma, Parma Heights, Strongsville, North Royalton, Broadview Heights, Brecksville, Orange Village, Beachwood, Richfield, Independence, Valley View, Seven Hills, Brooklyn, Brooklyn Heights, Brook Park, Newburgh Heights, Middleburg Heights, Berea, Lakewood, Westlake, Avon, Avon Lake, Sheffield Lake, Columbia Station, North Olmsted, Eastlake, Willoughby, Willoughby Hills, Euclid, Mentor, Bedford, Bedford Heights, Maple Heights, Garfield Heights, Warrensville Heights, Mayfield, Mayfield Heights, Shaker Heights, Highland Hills, Highland Heights, Richmond Heights, Solon, Macedonia, Twinsburg, Bay Village, Rocky River, Streetsboro, Glenwillow, Oakwood, Aurora and many other cities in the Northeast Ohio region.